ASPHostPortal.com is Microsoft No #1 Recommended Windows and ASP.NET Spotlight Hosting Partner in United States. Microsoft presents this award to ASPHostPortal.com for the ability to support the latest Microsoft and ASP.NET technology, such as: WebMatrix, WebDeploy, Visual Studio 2015, .NET 5/ASP.NET Core All Version, ASP.NET MVC 6.0/5.2, Silverlight 6 and Visual Studio Lightswitch. ASPHostPortal windows hosting is compatible with the Crystal Report 2013. We offer Crystal Report 2013 based hosting plan from just $5/month (see our Windows Shared Hosting Plan). ASPHostPortal.com provides a full featured Crystal Report 2013 Web Hosting service using the latest stable version of Crystal Report. Crystal Reports 2013 is a highly featured business intelligence tool that has been around for over two decades. You can develop reports against any database or structured file format, from Microsoft SQL and Oracle, to flat file to text file to spreadsheets. The product also integrates seamlessly into SAP BusinessObjects Enterprise products. However, the product is getting long in the tooth and needs an upgrade to compete with more modern tools with sleeker look and feel. For Crystal Report demonstration, please click here. 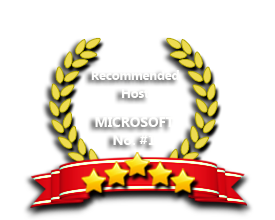 Our Crystal Report 2013 Hosting service runs on Microsoft Windows servers which gives you 100% compatibility and excellent performance. When you're running a mission critical solution, you need to be certain that your services and sites are online 24/7. ASPHostPortal.com provides you with the technology to drive business performance with advanced report generation capabilities of the Crystal Report 2013 Hosting. Our Windows Cloud Hosting fully supports Crystal Report 2013 hosting. You are more than welcome to try our Free Windows Cloud Hosting before you decide to buy. You can get your Free Cloud Windows hosting account up and running within the next few minutes.